Want to Beat Knee Pain? Knee pain is a very common problem affecting 1-in-4 adults. It is the second most common cause of long-term pain, after back pain, and the number of operations carried out each year for knee problems is steadily rising. But most cases of knee pain will settle down with simple treatment that can be done at home. But, where do you start? 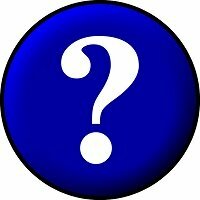 Please be aware that all the information on knee-pain-explained.com is intended for general education purposes only. Nothing that you read on this site should delay you from seeking professional medical advice or substitute any advice, diagnosis or treatment that you have been given or recommended by your health professional - please see our terms and conditions before proceeding. You may not be sure which section to go for so let's have a look at each section in a bit more detail. The Location of the Pain: Where you feel the pain in your knee can be a great indication of what the problem is. While the pain may spread around the joint, if the main focus of the pain is either at the front, back or side of the knee, in the kneecap or further down either below the knee or in the calf, this section will guide you through how to identify your knee problem. 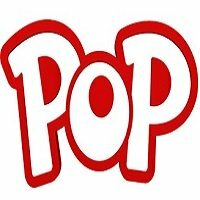 How The Pain Started: Did the pain come on gradually over time with no obvious cause, or was there a specific injury such as a twisted knee that kicked it all off? Here we look at how you can work out what is going on by thinking about how the pain started and how it has progressed since. 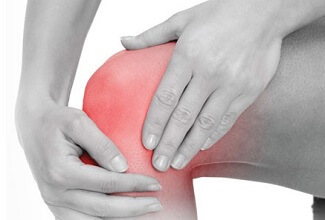 Knee symptoms vary greatly depending on what is going on in and around the knee. Many causes of knee pain are associated with specific symptoms, unique to the specific problem. The most common of these are popping noises, instability and giving way, locking, burning or sharp pain, pain with certain activities such as running and bending or on stairs, swelling or stiffness. This section looks at each of these specific symptoms and helps you to work out what is causing your knee pain. 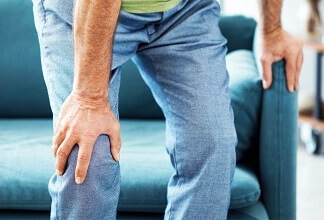 In the knee symptoms section, we look at the most common symptoms associated with knee pain, how they indicate what is wrong and the best course of action to get rid of the pain for good. There are loads of different things that can go wrong with the knee. Knee problems can be split into two different categories, those that develop suddenly due to an injury, and those that come on gradually over time. Knee Injuries: Are where a specific part of the knee is injured, usually by twisting awkwardly, a sudden force through the knee or an accident. In the knee injuries section, we look at the different structures that are often damaged, including the knee ligaments, cartilage/meniscus, bones, muscle injuries including tendonosis and injuries to the kneecap. 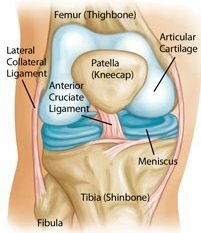 Knee Conditions: These are problems in the knee that tend to come on gradually over time without a specific injury. In most cases, repetitive friction or pressure on part of the knee damages the joint leading to pain and affecting normal function. In the knee conditions section, we look at the most common causes of knee pain including tendonitis, bursitis, Runners Knee, Osgood Schlatters Disease and Gout. In each section, we look in depth at the causes, symptoms, diagnosis and treatment options for each cause of knee pain so you can take back control. 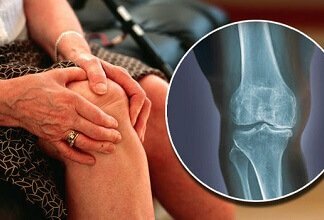 Knee Arthritis is the most common cause of knee pain in people over the age of fifty. Wear and tear and inflammation in the joint leads to pain and disability which can really affect your quality of life. 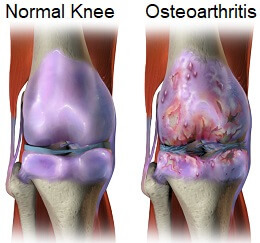 In the knee arthritis section, we cover all the different aspects of the condition including the common causes and symptoms, how it is diagnosed, the different stages of arthritis, the best treatment options including conventional treatment and alternative medicine, looking at the pros and cons of both, exercises that you can do in your own home to reduce pain and regain your strength, stability and movement, and how your diet can affect your knee arthritis for better and worse. There is a whole range of treatment options out there that help to reduce knee pain and swelling. Once you know what is causing your pain, you can start treating your symptoms. 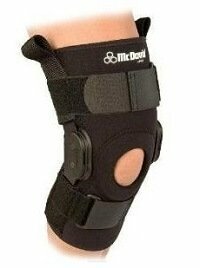 Knee braces can be really useful with a whole range of knee problems. They help to protect the joint, improve stability and reduce the risk of re-injury. Exercises are one of the best ways to reduce almost all cases of knee pain. By improving the strength, flexibility and stability of the knee, you reduce the forces going through the joint and make sure they are spread throughout the whole joint rather than all going through one part. For the knee to move smoothly and fully in each direction, it needs all of the leg muscles to work together. In the knee exercises section, you will find a whole range of exercise programs to choose from. Whether you are just starting out after an injury or operation, or are nearly at the end of the rehabilitation process but need that extra challenge to get back to the sports you love you will find something for you. There are strengthening exercises, stretches for all the different muscle groups, programs for specific injuries and loads of top tips and advice on how to get the best results and work at the right level. 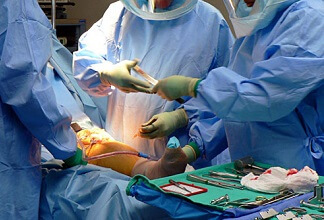 Some cases of knee pain will need surgery. If the damage inside the joint is going to cause ongoing problems such as pain and instability, surgery may be needed to repair damaged tissue, remove debris or in some cases replace the whole joint. In the knee operation section, we look at the most common types of surgery carried out on the knee ranging from keyhole surgery to clean out the joint, ligament repairs and reconstructions and knee stability surgery. 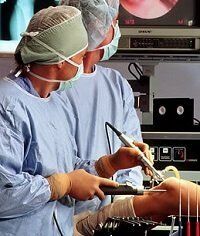 We also have a whole section dedicated to knee replacement surgery. For each we look at the indications for surgery, what actually happens before, during and after the operation, the rehabilitation process, risks and benefits and how to make the best recovery. Understanding what goes on inside and around the knee joint and how the different structures work helps us to understand the different causes of knee pain. There are actually two knee joints - the tibiofemoral joint (between the thigh and shin bone) and the patellofemoral joint (between the kneecap and thigh). In the knee joint anatomy section you can find out all about the different structures in the knee including the different ligaments and bursae, how the cartilage works to absorb stress on the joint, where the different muscles are and how they work and how the bones fit together. We've been helping people to beat knee pain for over 10 years. Knee pain is common, it’s painful, it can stop you from doing the things you love and really get you down. But by doing some simple things, you really can make it better. We want to help you take back control today. Not only do we want to help you abolish the pain, we also want to help you to make sure that it doesn't come back again in the future. 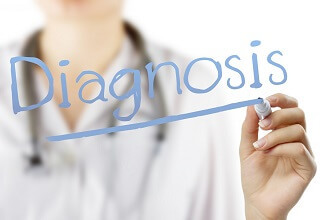 So not only do we look at how to treat the problem, we also help you work out what caused it in the first place so you can address that too, in an easy to understand and follow way - no confusing jargon! Each section contains in-depth information on each topic and will guide you through all the different aspects of knee problems. Choose from the sections above or use the navigation bar to find out more about knee pain and how you can beat it. If you can’t find something you are looking for, please visit the Site Map. If your pain is further down your leg, visit foot-pain-explored.com, our sister site which covers all aspects of ankle, foot and toe problems.